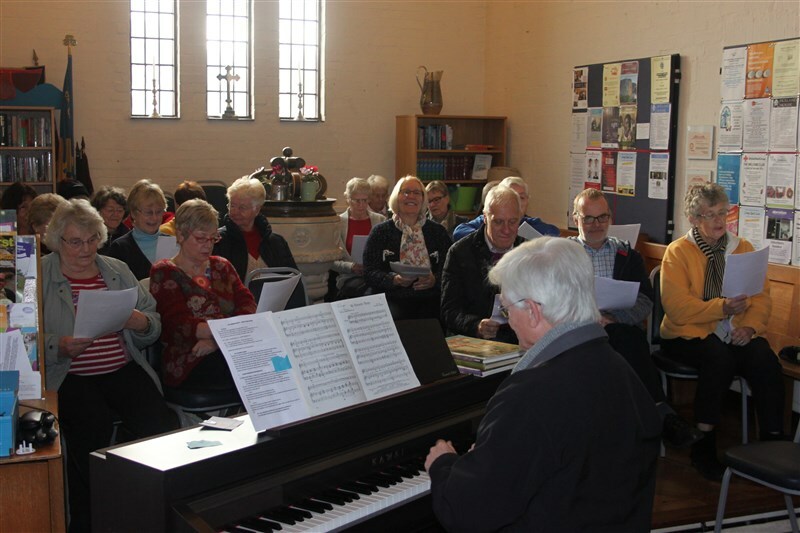 A group of people who want to sing for fun; the music will be varied, Spirituals, from Musicals, folk music etc. Everyone welcome. Prospective group members - For further information please email Michael Hart the Group Coordinator by clicking the bird at the right of this page and completing the displayed form. Click 'Schedule' at right for times of meetings. 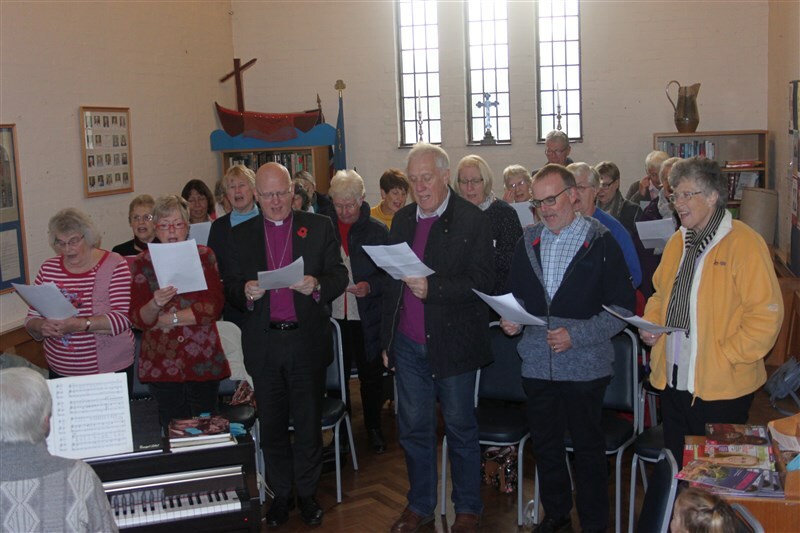 We recently had the pleasure of the Bishop of St Albans joining us at one of our meetings.See picture at right.